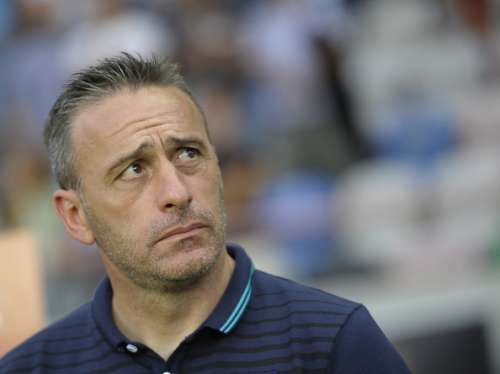 Former Portugal national football coach Paulo Bento has vowed to prioritise discipline and respect in his new role as head coach of Brazilian Serie A club Cruzeiro. The 46-year-old agreed to a two-year contract last week after the Belo Horizonte outfit sacked Deivid amid a sequence of bad results, reports Xinhua. "We have to be disciplined in everything that we do, and respected," Bento said during his first official press conference for the club on Monday. "I have been a manager for 12 years and I never showed a lack of respect to any player, but I believe in discipline. "When the players see our way of working they will feel at ease and comfortable. They will see that we are available for the good of the club. They will feel happy and and that we're not going to ask too much of them. I will only ask that they give 100 percent every day." It is Bento's first coaching job since being sacked as Portugal head coach following their elimination in the group phase of the 2014 World Cup. A former defensive midfielder who was capped 35 times for Portugal, Bento's only experience as a coach at club level was with Sporting Lisbon from 2005 to 2009. Cruzeiro are four-time winners of Brazil's Serie A championship, the country's top football division. The Belo Horizonte-based club finished eighth in the 20-team standings last season. They began the 2016 Serie A season with a 0-1 loss to Coritiba on Saturday. Bento's first match in charge will be a home clash against Figueirense on Saturday.